Enrollment each year is about 35 new students and we encourage one-on-one contact with faculty, instructors, and advisors. 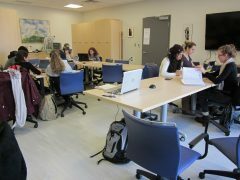 The core classes in the Institute of Environmental Science are small. Seminar, lectures and field methods classes have usually no more than 50 students. Engaged students will receive a level of attention and personalized instruction that it is hard to find elsewhere. Professors in Environmental Science are available to help students, offer encouragement and challenge their students to surpass themselves. 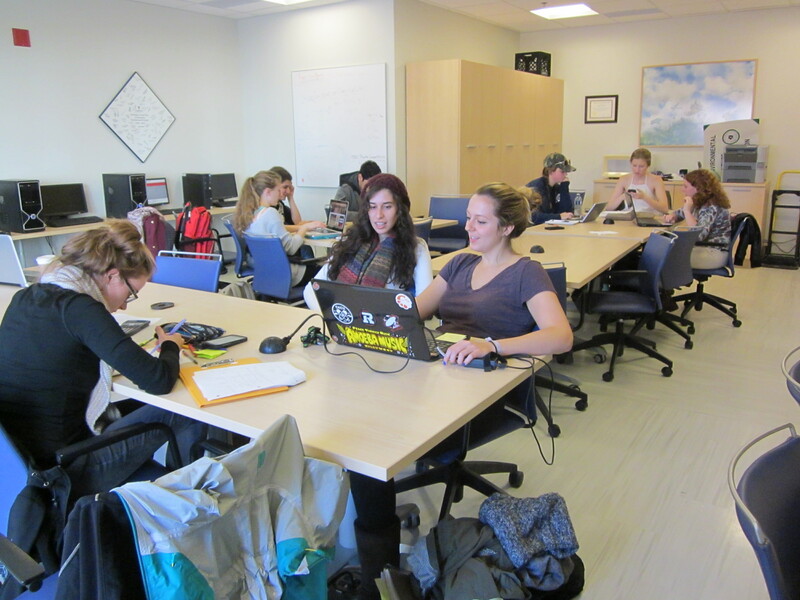 Environmental Science students enter the program with a shared passion for science. 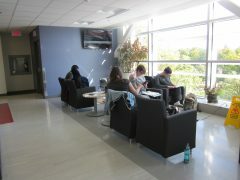 Students take many of the same classes together. They look to each other for help, taking inspiration from each other’s successes during their time at Carleton and after they graduate. This strong sense of community leads to academic success and life-long friendships. 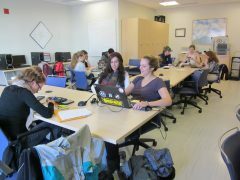 Brand new facilities for environmental science students enhances the personal learning experience here at Carleton, forming a network of associations and friends. 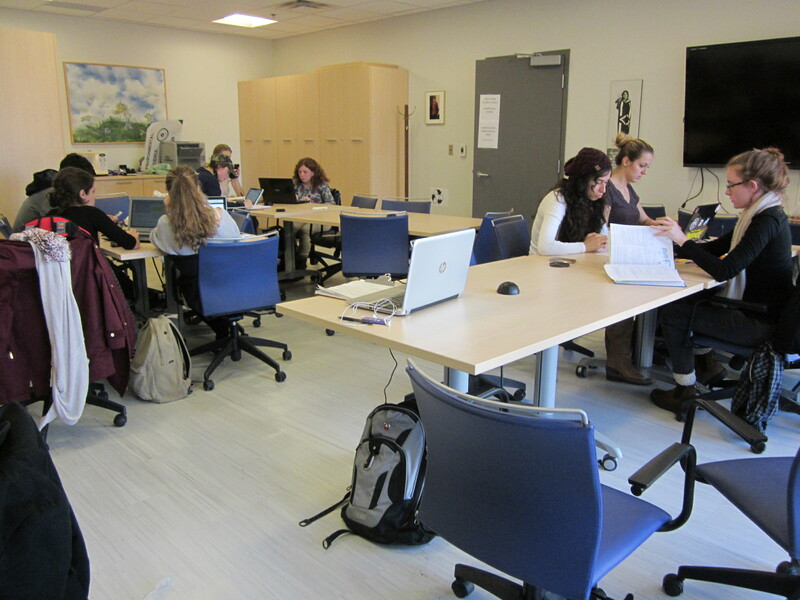 This room can be used for research or study purposes or simply as a focal point for meeting and socializing with others in the program. 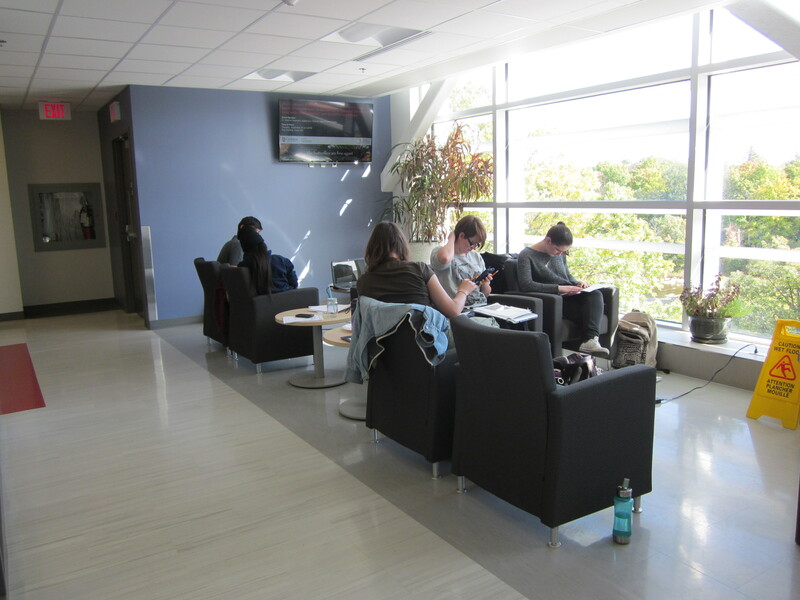 The Environmental Science Student Association (ESSA) arranges events, visits, and seminars. Find us on Facebook! The Ottawa area has considerable environmental work activity including Environment Canada, National Capital Commission, National Museum, the National Research Council and various conservation authorities. This provides students with an unparalleled background for their studies in Environmental Science and invaluable networks for career opportunities after graduation. Graduates are very successful in their further endeavours, with a good proportion continuing onto graduate school, government, industrial employment, and a variety of consulting opportunities. Environmental scientists are key participants in a range of fields – with Government in the development of environmental policy, as Consultants working on a wide variety of projects, and working with Conservation and Resource Management organizations throughout Canada and the world. Their work is of great benefit in the development of the field of Environmental Science and in response to a range of important issues.